CAIRNS, Australia, July 9, 2012 (ENS) – Coral reefs worldwide are being destroyed by changes in ocean temperature and chemistry faster than at any time since the last reef crisis 55 million years ago, thousands of marine scientists warned in a joint statement today. “The future of coral reefs isn’t a marine version of tree-hugging but a central problem for humanity,” said Jeremy Jackson, senior scientist emeritus, Smithsonian Institution and the 2012 recipient of the Darwin Medal. 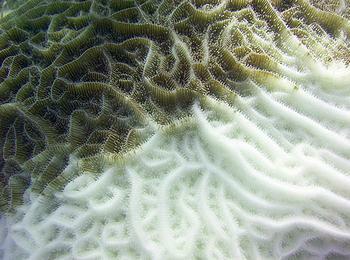 Jackson told delegates that in the Caribbean Sea, 75-85 percent of the coral cover has been lost in the last 35 years. Even the Great Barrier Reef, the world’s best-protected reef ecosystem, has lost half its coral cover in the past 50 years, he said. “There is a window of opportunity for the world to act on climate change – but it is closing rapidly,” said Professor Terry Hughes, convener of the symposium and director of the Australian Research Council Centre of Excellence for Coral Reef Studies at James Cook University in Cairns. “While there has been much progress in establishing marine reserves around the coastline of Australia, marine parks do not prevent pollution from the land, or lessen the impact of shipping and port developments, or reduce the emissions of greenhouse gases,” said Hughes. 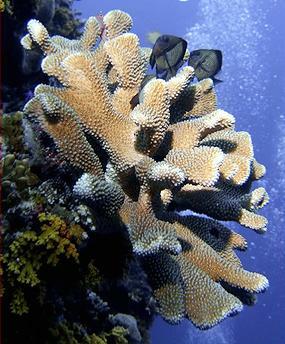 Stephen Palumbi, director of Stanford University’s Hopkins Marine Station in California, said governments must make stronger commitments to reducing greenhouse gas emissions, and meanwhile addressing local threats, such as poor land development and unsustainable fishing practices, can help by improving reef health. “Local action buys us time to deal with the bigger issue of climate change,” Palumbi said, urging rebuilding fish populations, reducing polluted runoff and establishing more marine protected areas. In the symposium’s keynote address, the top U.S. oceans official announced a major advance in the ability to predict mass coral bleaching. The new seasonal ecological forecast system can forecast the probability of bleaching four months ahead. NOAA’s advances in satellite monitoring of the high ocean temperatures that can cause coral bleaching now provide daily five-kilometer satellite monitoring of coral bleaching thermal stress for reefs around the world. This means 100 times finer resolution, more frequent observations, and more data than the current twice-weekly 50-km global satellite coral bleaching monitoring. A new report released at the symposium finds that up to 90 percent of reefs in the Coral Triangle are threatened by local human activities plus climate change – much more than the global average of 60 percent. 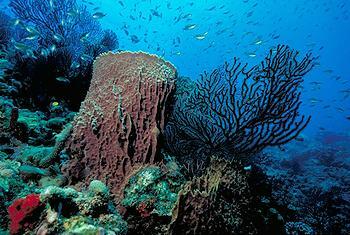 In the six countries that make up the Coral Triangle – Indonesia, Malaysia, Papua New Guinea, the Philippines, Solomon Islands, and Timor-Leste – overfishing, watershed-based pollution, and coastal development as well as coral bleaching caused by warming ocean waters, are destroying the coral ecosystems. The report, “Reefs at Risk Revisited in the Coral Triangle,” was written by the World Resources Institute with the USAID-funded Coral Triangle Support Partnership. The partnership is a consortium of three large environmental groups WWF, The Nature Conservancy, and Conservation International that assists the six Coral Triangle governments in implementing their regional and national Coral Triangle Initiative plans of action. The Coral Triangle contains nearly 30 percent of the world’s coral reefs and more than 3,000 species of fish – twice the number found anywhere else in the world. 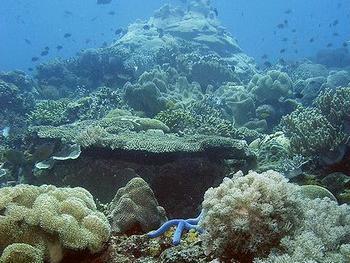 Spanning parts of insular Southeast Asia and the western Pacific, the Coral Triangle is recognized as the global center of marine biological diversity, with the highest coral diversity in the world – 76 percent of all coral species – as well as the highest diversity of coral reef fishes in the world – 37 percent of all species, according to the report. 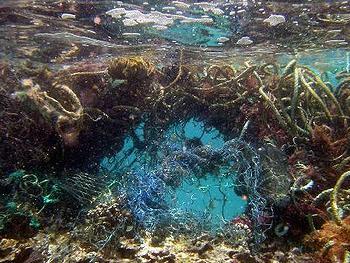 The authors urge a halt to destructive fishing – the use of explosives and poisons to kill or capture fish, a common practice across much of the Coral Triangle Region, particularly in East Malaysia, the Philippines, and Indonesia, threatening nearly 60 percent of the region’s reefs.